Richard Soden is a former partner and current counsel in Goodwin Procter’s Business Law Department, where he specialized in corporate and securities law and participated in the firm’s General Business, Securities and Corporate Finance, and Mergers and Acquisitions/Corporate Governance Groups. Richard served as Chairman of the Lawyers Concerned for Lawyers Oversight Committee of the Supreme Judicial Court of Massachusetts, the Massachusetts IOLTA Committee and the American Bar Association’s Committee on the Scope and Correlation of Work. He was also a trustee of the Social Law Library and a member of the Massachusetts Access to Justice Commission. 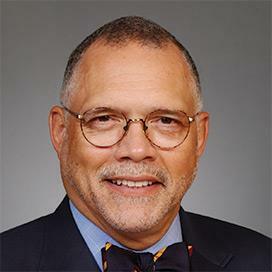 He has served on the American Bar’s Board of Governors and in its House of Delegates and is past president of the Boston Bar Association, Boston Bar Foundation, and Massachusetts Black Lawyers Association. Richard has been active in the nonprofit and charitable community for over 40 years. He is a director of the Museum of African American History and a member of the Magellan Society of the New England Aquarium. As an Access to Justice Fellow, Richard partnered with the Lawyers Clearinghouse. He helped that organization develop its Legal Assessment Program, which offers a unique opportunity for nonprofits to strengthen their organizations through a thorough legal review of their corporate governance structure. Richard has a vast amount of experience relating to corporate governance and is uniquely qualified to educate nonprofit organizations and their board members on the importance of good governance and the benefits of participation in such a program.